The 5th edition of Portfolio Payroll’s popular & reputable Payroll Salary Survey 2018/19 has now been published and is being launched at the CIPP Annual Conference and Exhibition on 10th-11th October later this week. Sporting a brand new design with content from leading industry experts’ including Ken Pullar, CEO at Chartered Institute of Payroll Professionals and Portfolio’s own Director Anthony Macey, who’s knowledge spans over 15 years in Payroll recruitment, plus additional commentary about benefits and rewards from Croner Reward – this is the most comprehensive Payroll survey to date. As the market-leading specialist recruitment consultancy, Portfolio Payroll, a division of the Portfolio Group actively invest in collating salary data from their customers plus fellow CIPP members to able to provide up-to-date bench-marking information – their way of giving back to the industry. This year’s Payroll Salary Survey highlighted notable advances in the Payroll industry from significant changes in legislation, software development, automisation including RTI, international payroll and strategic decision making – all of which have impacted salaries and the recruitment process. The results showed that Payroll salaries increased on average of +6%, in some cases to up to +12% for Permanent payroll positions from Payroll Clerks to Payroll Accountants across the UK year-on-year. The most significant growth was noted in Wales with some Executive roles salaries up +25% against the UK average of +12% for roles such as Payroll Manager & Head of Payroll positions. For international executive Payroll roles, there were permanent salary increases between +15%-20% – the move of US-based global entities to Europe being cited as “creating the need for a new and very niche Payroll skill set due to varied legislation and processes across individual states” according to Patrick Day, Associate Director. Day goes on to state that “interim Payroll Consultants are dominating the international Payroll market, where both strategic and operational skill sets are sought after to meet these structural changes” and the data shows a +25% increases on daily rates for EMEA/Ex-Pat Payroll Managers. This in echoed by Ken’s comments that “‘Soft’ skills such as communication, project management and presentation skills are becoming more desirable” and he also suggests that the role is diversifying as “more and more Payroll professionals [are] analysing the data…to make recommendations regarding reward programmes” – added further dimensions to the Payroll skill-set. 24% of those surveyed expressed a desire for additional holiday and 17% for flexible working in businesses where it wasn’t already offered. In addition, 92% of respondents were offered paid courses/qualifications and/or training – showing that it is a benefit that many Payroll professionals value and potentially even expect. Considering the rate of change in the Payroll industry, it is encouraging that job satisfaction rates showed that 60% of Payroll employees are satisfied/very satisfied with their current job teamed with 80% of respondents reporting that their salaries have been reviewed within 6-months. 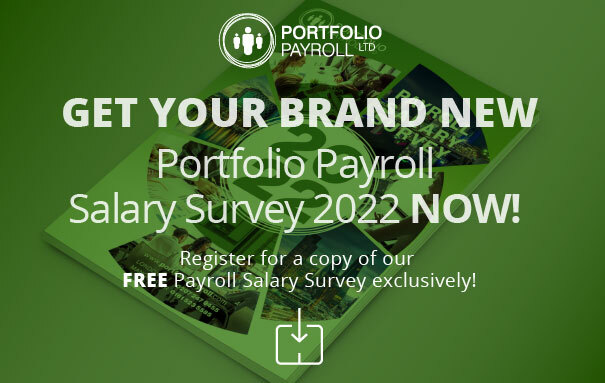 Register for your FREE copy of the 5th edition of Portfolio Payroll’s Payroll Salary Survey 2018/19 here. Read Croner-i’s article on Accountancy Daily’s website here.